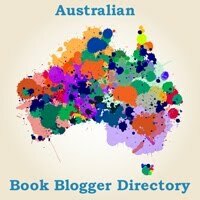 In *Keepers, Reviews, Romance, SFF & horror. I won an ARC of Lord of the Fading Lands via Dear Author, and it’s taken me a while to blog about it because I wanted to read it a few times to do the book justice. Lord of the Fading Lands is a blend of epic fantasy and good old-fashioned romance–two of my favourite reading pleasures. I expected great things from this novel on the strength of Jane’s review, and for the most part, it didn’t disappoint. C. L. Wilson’s writing is lush without being bloated, and the romance … well, it made me giggle and blush in very good ways. Ellie Baristani, adopted daughter of a Celierian woodcarver, was plagued with nightmares and torments as a child, which has caused her to fear magic. With one year to go before she’s considered a pitiable spinster, Ellie’s marriage prospects are grim. Her family isn’t rich enough nor is she beautiful enough to attract suitors, and Ellie is tricked into a betrothal with a man who repulses her. Rain Tairen Soul, King of the Fey, is desperate to save his dying race. He risks his sanity–perhaps his life–when he forces an oracle, The Eye of Truth, to provide him answers. What he sees leads him to Celieria, a place where magic is treated with suspicion and in which Rain lost his bonded mate a thousand years ago, causing him, in his madness, to very nearly destroy the world. When Ellie is singled out by the most powerful Fey lord, who claims her as his truemate, she’s shocked, relieved, awed, and … well, rather afraid of him. Rain is drawn to Ellie, and his tairen (his animal form) is chomping at the bit to claim her. Since he’s acknowledged the truemate bond, he’ll perish if the mating ritual is not completed; however, the bond cannot be forced upon Ellie. Rain must earn her trust and, at the insistence of her parents, court her the old-fashioned way. Meanwhile, Rain suspects that his most bitter enemies, the Mages of Eld, may be trying to gain a foothold into Celieria, and Ellie must overcome her fears and doubts to take her rightful place as Queen of the Fey. Ellie is a heroine that I want to read about. Although she’s gentle and kind, she’s never a wimp. Even before she meets Rain, we see her standing up for herself (or trying to) when she’s forced into a betrothal she doesn’t want. And when she seems helpless, Wilson shows us why Ellie cannot act, be it due to family pressure, social customs or understandable ignorance. Although I didn’t get Rain as much as I did Ellie, I loved reading the interactions between the two of them (their courtship is the centrepiece of the story) and between him and the Fey. Although his soul calls out to Ellie, he doesn’t instantly forget the mate he lost long ago (there’s a scene in a museum, which I found heartbreaking). Even though he wants to protect Ellie, he doesn’t always do it gracefully, so he’s constantly adjusting his behaviour in response to her reactions. In other words, he’s damned powerful, but he’s not perfect. I like the way Wilson reveals each character slowly, showing us their strengths and revealing their vulnerabilities. Secondary characters are skillfully woven into the story, their different motivations all serving the plot. Political and personal conflicts are set up in ways that make sense for the characters. One, in particular, fills me with dread because while the character starts off relatively likeable, it’s clear that her pride is leading her in a direction that will have broader consequences. (I hate betrayal–even among secondary characters!) And yet I feel really sorry for her. Wilson also raises some intriguing questions about Ellie’s powers. The romance is chivalrous, thrilling, and well paced. Most of it is tame by today’s standards, but I didn’t care at all, since it all fits in the context of the story. All I can say is that Ellie is a stronger woman than I am. 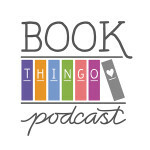 If Rain had shown up at my doorstep to claim me … well, I might have lasted until page 112. Tops. Wilson’s writing is good. It’s not quite as lyrical as McKillip (though not many are and, to be honest, it’s probably a good thing as some might find that sort of style too overwhelming), but I like it a whole lot better than Eddings and he’s sold a gazillion books. I never felt that the plot is stalling because of the romance or vice versa. Normally I’d quote from the book, but I can’t pick a quote. You really should just read it for yourself. Did I mention yummy Fey warriors? Yes, I believe I did. The book packs a powerful opening scene, which I feel is too overpowering. I usually prefer the big magic scene at the end of the book, and the beginning overshadows the ending for me . It also sets Rain up as being too powerful, which makes it a little bit difficult to fathom how people would dare stand up to him. I would have liked to have understoood Rain’s POV better. At times, it seems he resents the truemate call, and at other times he seems completely enamoured of Ellie. The truemate bond is supposed to be soul deep, yet Ellie can refuse it. So I’m sort of puzzled as to how it all works on an emotional level. To what extent does it force their behaviour? To what extent can they resist it? Some of the scene changes seeme choppy. It’s not a major thing, but it can be distracting to jump from one place to another. The magic isn’t explained well enough for me. How is energy disbursed? Is there a cost to the weaver? I don’t understand how the Celierians can just so casually antagonise the Fey King when they have no defence against Fey magic. I don’t understand the relationship between the magic of Eld and the magic of the Fading Lands. But perhaps this will be dealt with in the next book. That said, the world building is sufficient for this book–and done without info dumps, thank goodness. The slutty villain sexcapades. Though, really, it’s to be expected and I don’t resent it that much since there’s very little of it. I’ve read much worse. I’m not a fan of the mid-word apostrophe. I don’t understand what it symbolises–a glottal stop, a click, or a stress? I’m still not sure how shei’tani is pronounced. I don’t feel that the ending was is enough or that there’s enough resolution at the end of this book. This touches on one of my pet peeves. I have a feeling the perhaps the sequel isn’t really meant to be a sequel–that this and the next book were always meant to be one book together. When nothing in the external plot is resolved at the end of a book–not even a teeny-tiny mini-plot of some significance–then I don’t feel satisfied. (This is why I couldn’t get past book two of The Wheel of Time.) That said, I’m glad I only have to wait a month for a resolution. That makes it almost bearable. 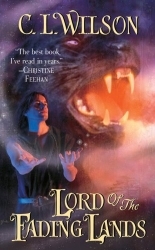 If you’re a romance reader who has never understood the allure of high fantasy, I’d definitely recommend Lord of the Fading Lands. The romance is at the forefront of the story–chivalrous, evenly matched, and written spine-tinglingly well. If you’re a seasoned reader of epic fantasy, you might find the story somewhat lightweight; the mythology doesn’t break new ground (so far). As someone who loves to read in both genres, I’m often frustrated by the short shrift romance gets in many epic fantasy novels and the lack of complex characters in fantasy romances. Lord of the Fading Lands, however, doesn’t disappoint. It’ll be interesting to see how the romance plays out as the external plot gains momentum, as I assume it will in the next book. Click here for excerpts. Note: This post was originally published on October 5, 2007. Tagged cl wilson, fantasy, tairen soul.